As my readers know, all my novels feature a little bit of romance. Not a lot, but a little. In the publishing world this is known as ‘romantic elements’. 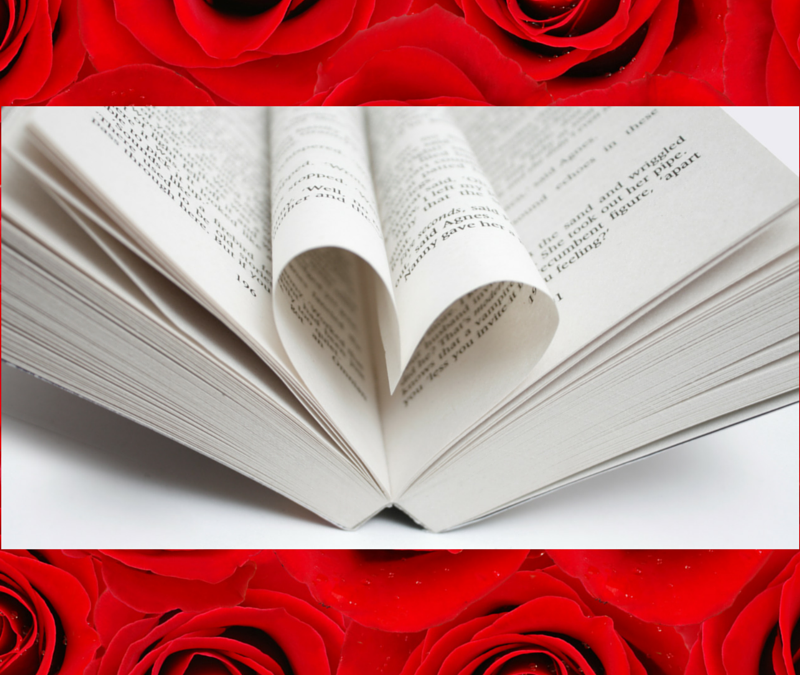 So, since today is Valentine’s Day I thought I’d tell you why I include these elements in my stories, and why I go for a little bit or romance rather than a lot. My main characters are always conflicted. In all four of my published novels the main characters are women who are dealing with quite a bit of family drama. Some of them have issues from the past surfacing and all of them have present day conflicts that take up most of their time. Untangling their personal problems is, for me, the main point of the story. Whether that be dealing with grief, uncovering a family mystery, learning to forgive in order to move on or making a life-changing decision, all ‘my women’ have enough to keep them busy. So, of course, that’s where the romance comes in: when they’re not looking, love creeps up on them. There’s no better way to complicate a character’s story than by adding a romance into the mix. Whether it’s the man of her dreams, an ‘unwanted’ former lover or someone who makes her heart sing even if she’s in denial, its absolutely guaranteed that the protagonist’s life is going to get a lot tougher. 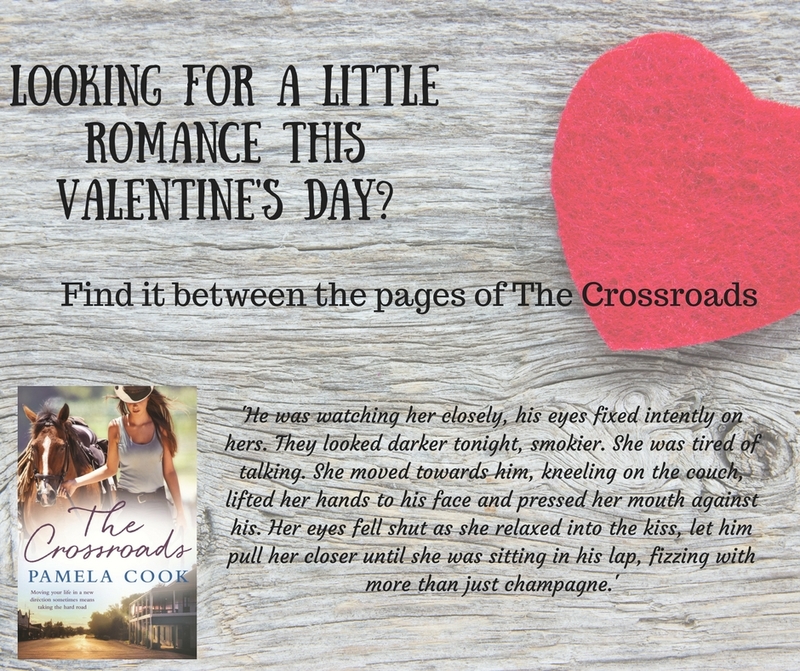 The Crossroads has three very different ‘romantic’ set ups for its three main characters. For Rose it’s the appearance of old flame David Ryan that complicates her story right from the start. Her daughter, Stephanie is married to her high school sweetheart Bryce but things aren’t going as smoothly as they should be. Then there’s Faith Montgomery, unhappily single, who arrives in Birralong and meets Cameron Bailey, who immediately gets her blood boiling – and not in a good way. In each case the romance itself isn’t the main drive of the storyline, but it adds a little will-she or won’t-she variety, ups the tension and forces all three of them to question the role of romance in their lives. Weaving romance into the lives of these characters creates an extra tension that adds to the story. Baz Lurmann wrote it perfectly in Moulin Rouge: ‘the greatest thing we’ll ever learn is to love and be loved in return’. It might not be the hollywood style, eyes meet across a crowded room style romance for all of us, it might not even be romantic love that sustains us, but some other form. But when it comes down to it don’t we all want to be loved, in one way or another? Love, in all its forms, is one of the driving forces in our lives, so for me, including it in my plots is a natural part of exploring the lives of my characters. Wishing you an abundance of love this Valentine’s Day and beyond. Click here to buy The Crossroads on kindle. Click here to order The Crossroads at Booktopia. Great piece Pamela, can’t wait to read Crossroads!